USD is moving horizontally against JPY, remaining around local highs since March 5. 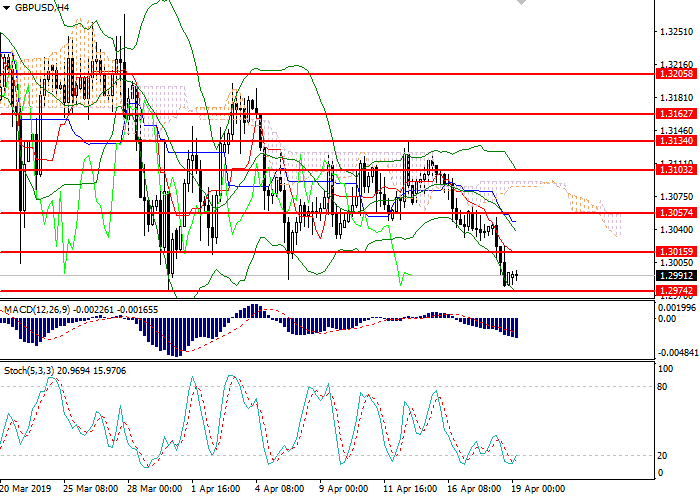 The positions of USD are under pressure, as there is a lack of strong US macroeconomic statistics on the market, and investors are awaiting the resolution of the US-China trade negotiations. In addition, the market fears harsh statements by Donald Trump, who accuses the regulator of slowing economic growth and extremely weak inflation. The President urges the Fed to resume quantitative easing. Meanwhile, traders are following US and Japanese trade negotiations. While the parties are very optimistic but no specific decisions have yet been made. Japanese exports fell by 2.4% YoY in March, which was twice as bad as the decline in February. Imports, in contrast, rose by 1.1% YoY after a decrease of 6.6% YoY in February. Due to a sharp decline in exports, the overall March trade balance increased from 334.9 to 528.5 billion JPY. On the daily chart, Bollinger bands actively grow. The price range narrows, reflecting the emergence of ambiguous trading dynamics in the short term. The MACD grows, keeping an uncertain buy signal (the histogram is above the signal line). 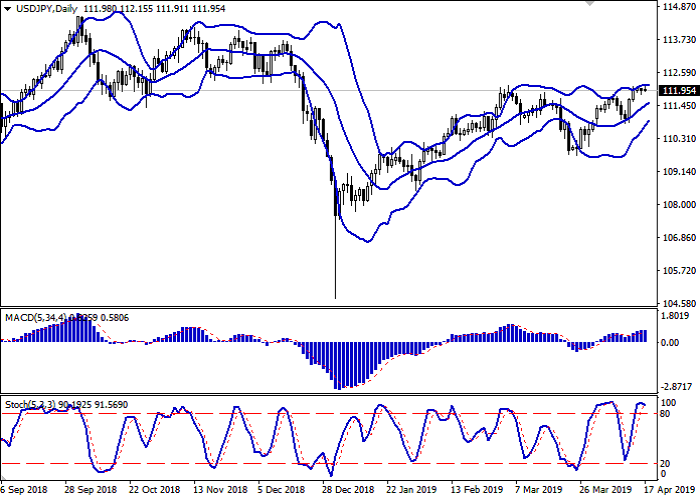 Stochastic, reaching its highs, reverses downwards, indicating that USD can become overbought in the super short term. A downward correction is possible in the short and/or super short term. Resistance levels: 112.15, 112.40, 112.65. Support levels: 111.83, 111.56, 111.37, 111.22. Long positions can be opened after the breakout of 112.15 with the targets at 112.65–112.80 or 113.00. Stop loss is 111.83. 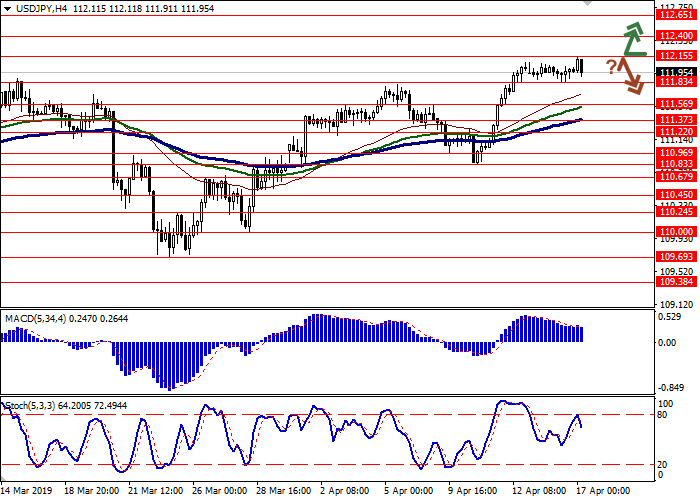 Short positions can be opened after a rebound from 112.15 and a breakdown of 111.83 with the targets at 111.37–111.22. Stop loss is 112.15.